The Mopar Rubicon Rear Bumper is engineered from a premium steel with a durable finish for the Jeep Wrangler JL. Whether you are replacing a rear bumper that got damaged in an accident or upgrading to a stronger steel bumper from OEM this bumper is for you. A factory production design on the Jeep Wrangler JL Rubicon fitting both the 2 door and 4 door models. Please Note: This bumper requires the high-top fender flares for the bumper and body lines to match up. The bumper ends sticks out much further than the stock flares. Also, it does NOT have provisions for back-up sensors. Premium Finish: E-coated for durability with a extremely strong textured black powder-coat finish. Providing a highly corrosion resistant bumper that will look good for many years. Holding up to the abuse of the trails. 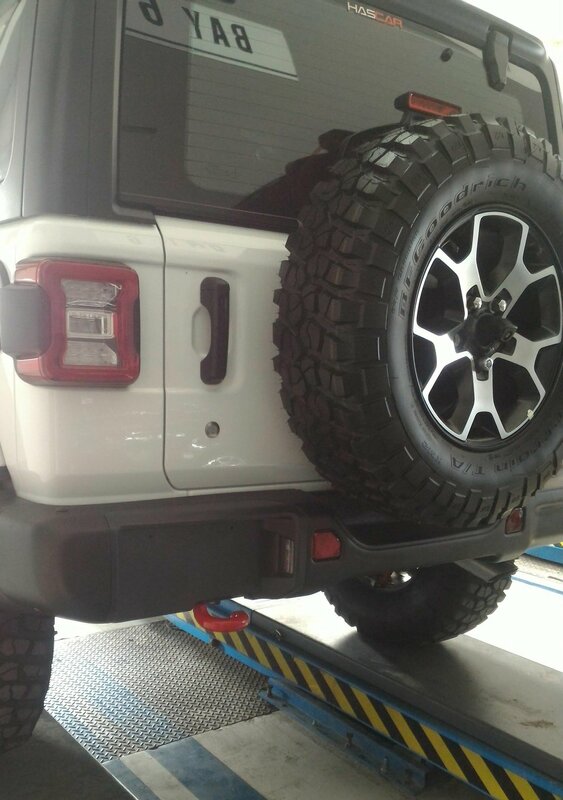 Additional Protection: This HD steel bumper offers additional protection to the rear of your Jeep. Jeeps are designed for adventures and you will encounter many hazardous obstacles which this bumper will protect you from. Quality Replacement: Offering the factory replacement that fits perfect with the premium quality you expect. Mopar does it right. The weight is 63 lbs.